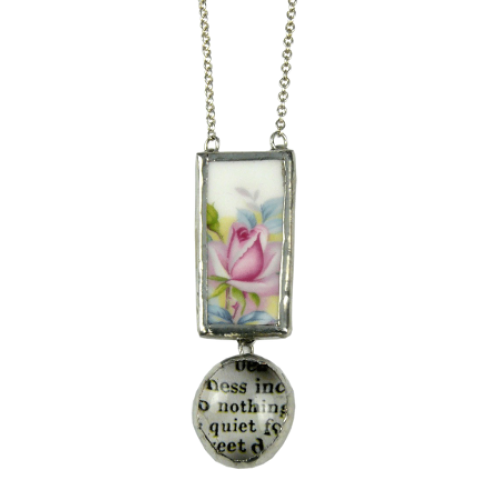 Pretty floral, vintage china pendant with poetry, glass drop detail. 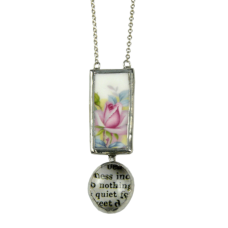 Pendant size 5.5cm x1.5cm edged with metal alloy. 41-46cm adjustable length sterling silver chain and fastening.